MODERN GEOMETRIC FIREPLACE SCREEN by Accent Plus home decor, jewelry, decor, decorations, electronics, fountains, floor mats, art glass, vases, garden essentials, fireplace screens. Wow! 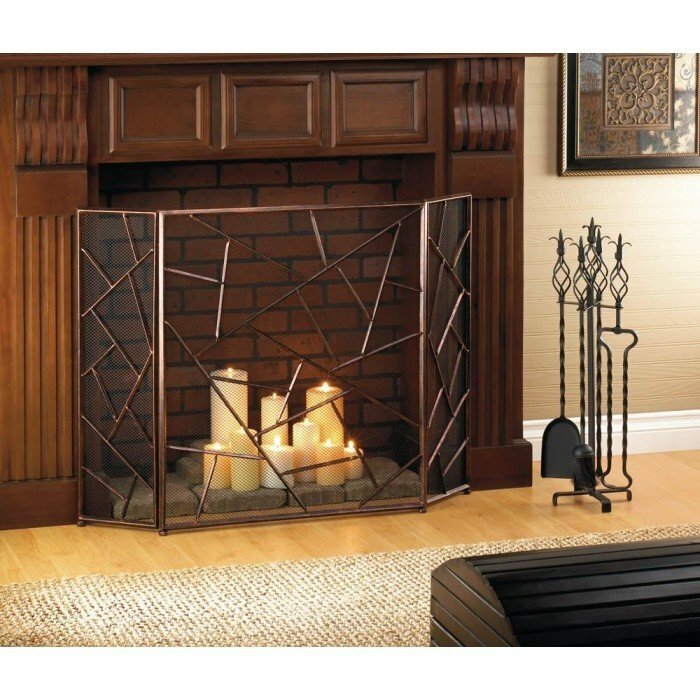 Make your fireplace the center of attention with this stunning iron screen. It features a modern design of intersecting geometric patterns that gives your fireplace an artistic flair, with or without a fire roaring behind it! Material(s): IRON METAL - MESH. Weight 10.2 pounds. Dimensions 27.8" x 10" x 31.8".